APSC Latest Updates dispatched here. From Assam state any one get alerts of Assam Public Service Commission check from APSC Latest Updates and feel free to ask any quires regarding on it & wait for our response. 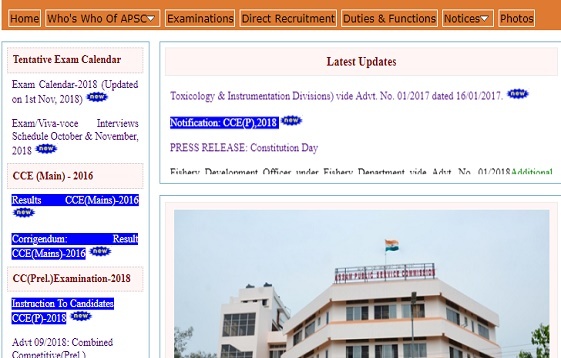 The main aim of Assam PSC Latest Updates page is " inform the correct information to the candidates who search for details of Jobs/ Examination/ Interviews/ Admit Cards". About Assam PSC Latest Updates: Every day provided the details which is released by Assam Public Service Commission. This is page is one step to check complete daily information of Assam PSC.